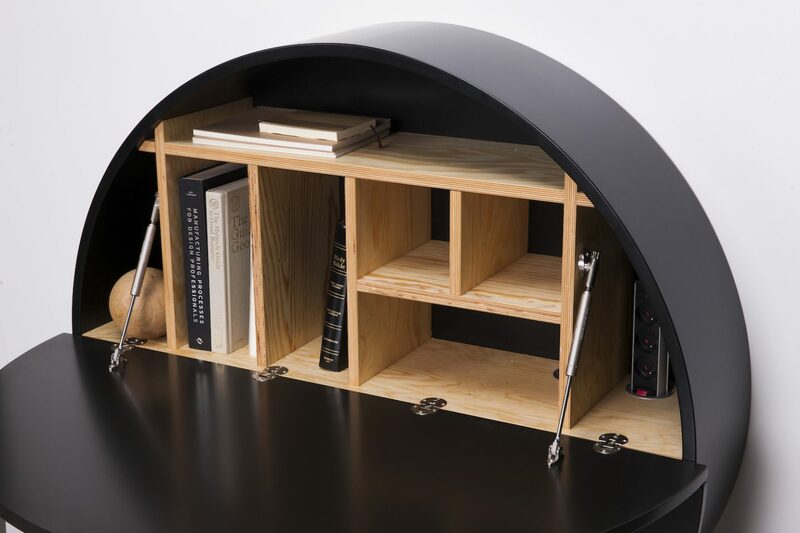 Making small spaces more useful for your laptop, files, books, and everyday work necessities – the Pill Cabinet is the “treatment against clutter and messy environments”. 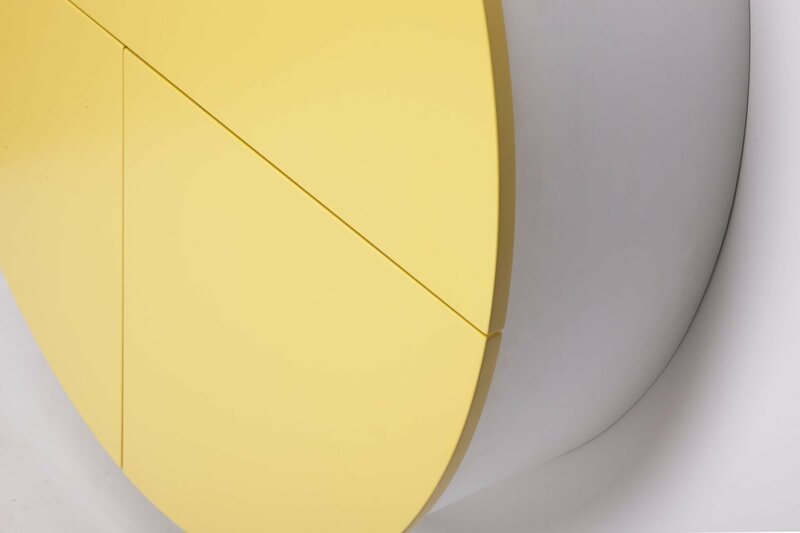 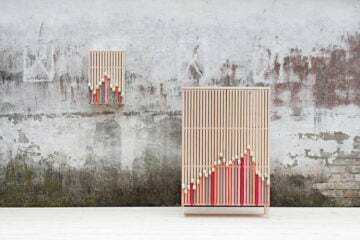 Designed by the Lithuanian-based furniture design and home-accessory company Emko the ‘Pill’ is being fixed on the wall and comes in four colours. 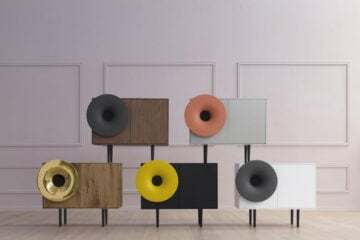 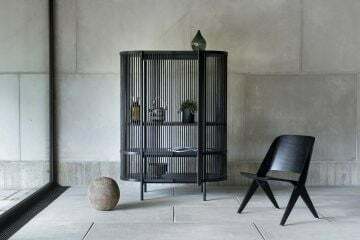 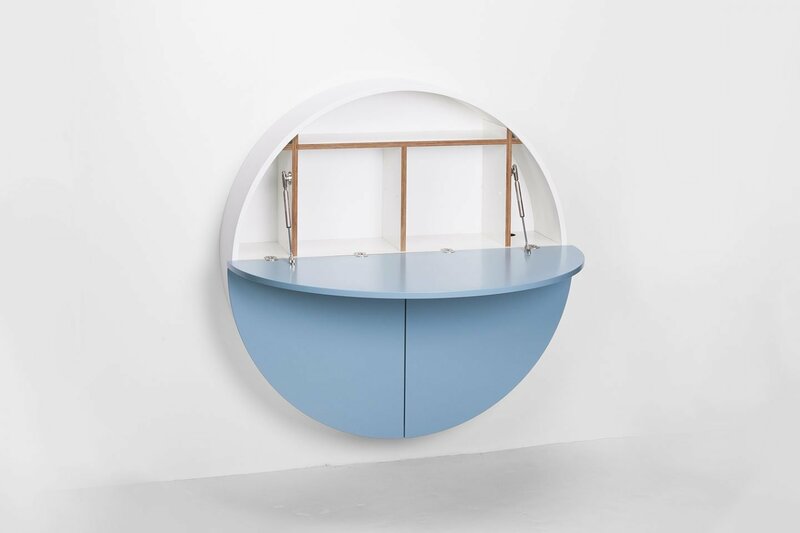 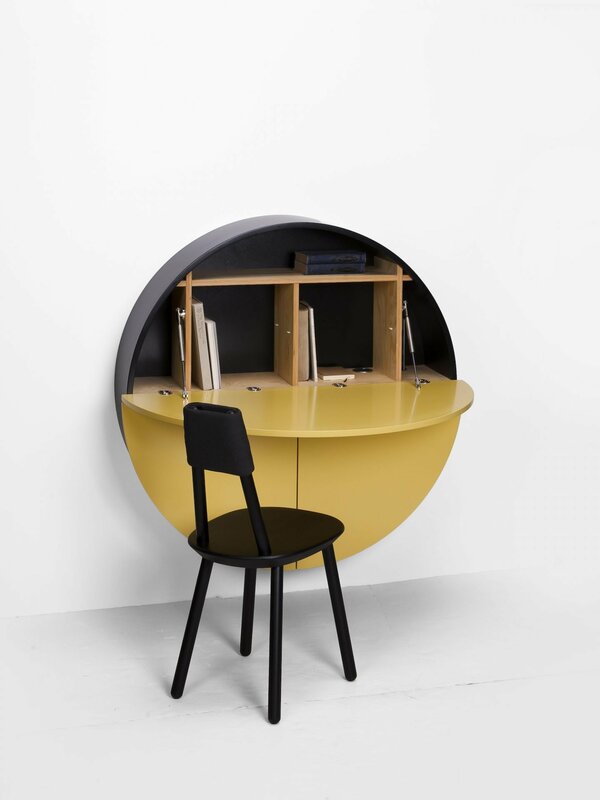 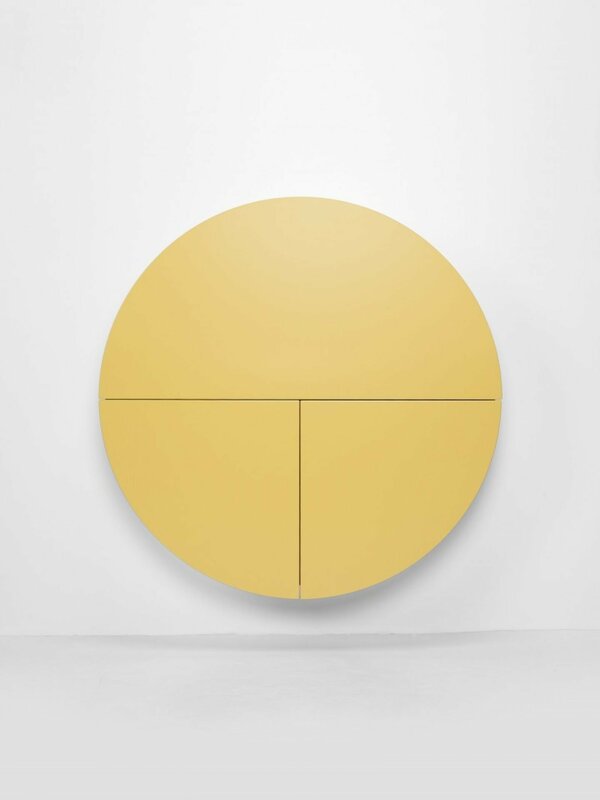 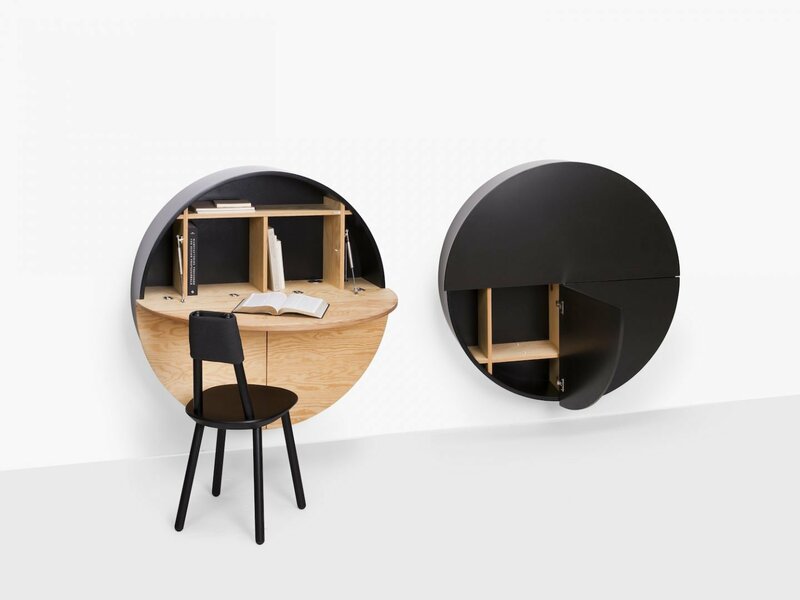 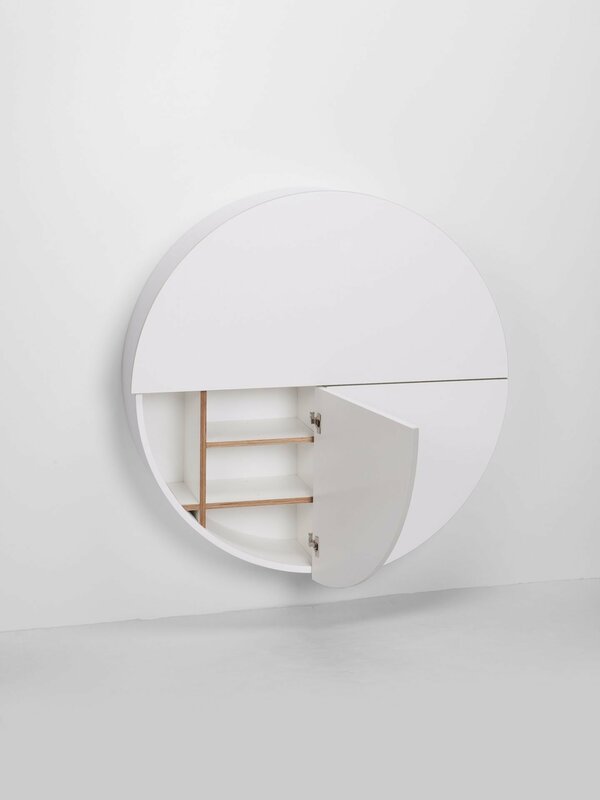 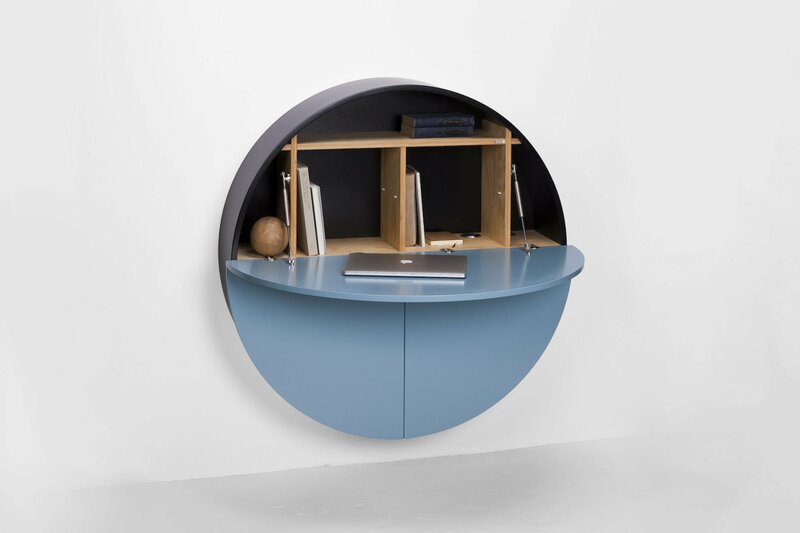 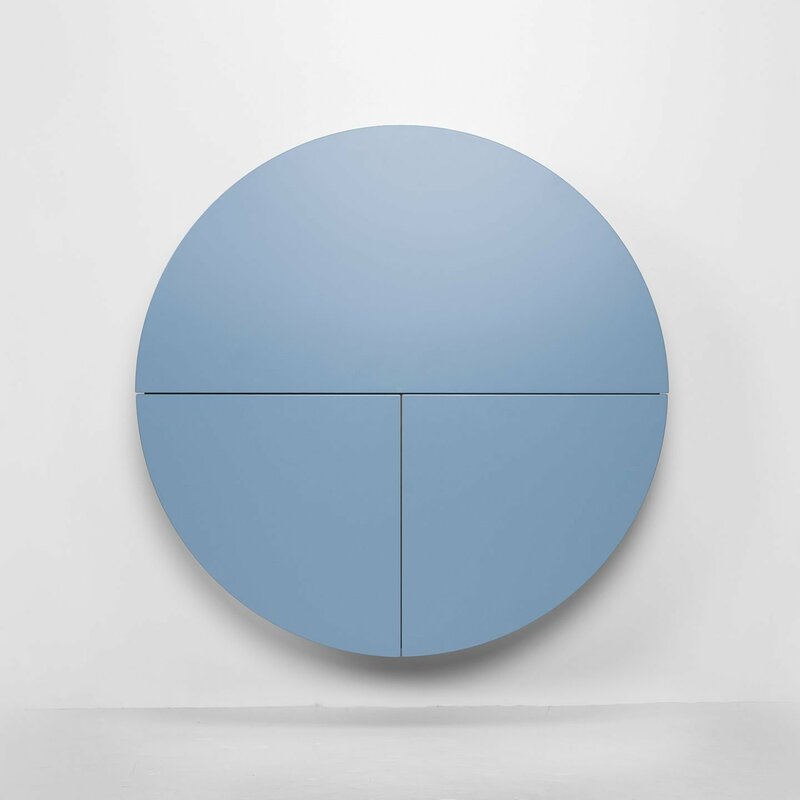 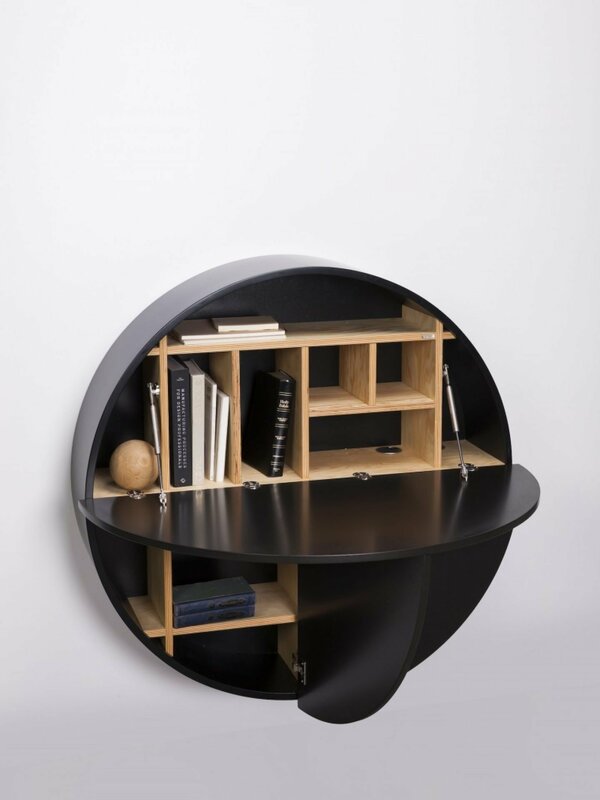 The circle-shaped cabinet’s in closed form seamlessly blends with its surroundings and while opened the customisable placement of inserts keep all goods organised to standards. 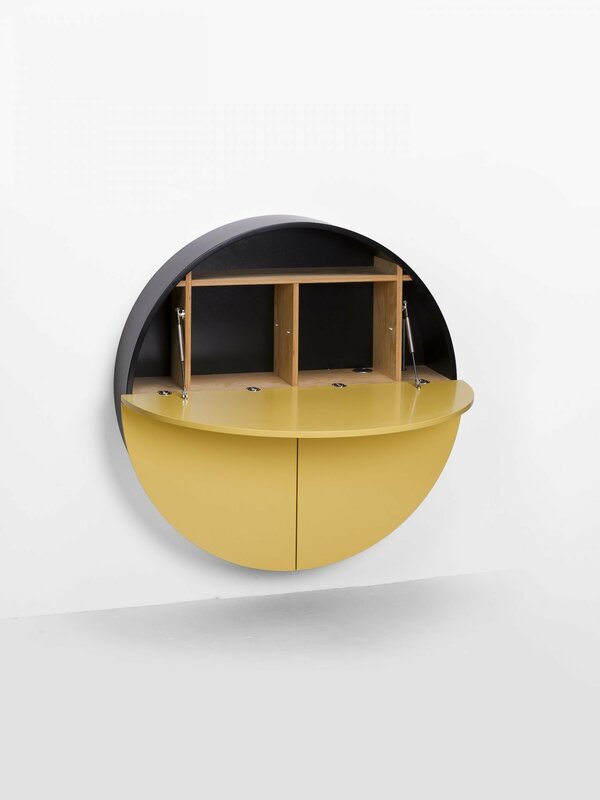 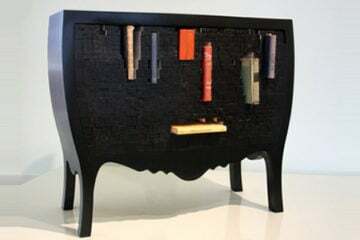 In addition to personalisation, the cabinet is equipped with sockets and the option of installing LED lights for heightened moods. 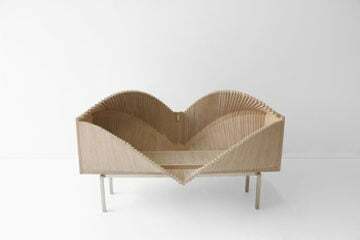 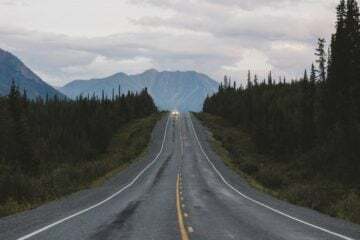 The main attributes to create such durable product are variations of wood, varying from pine plywood, white plywood, and and fine lacquers. 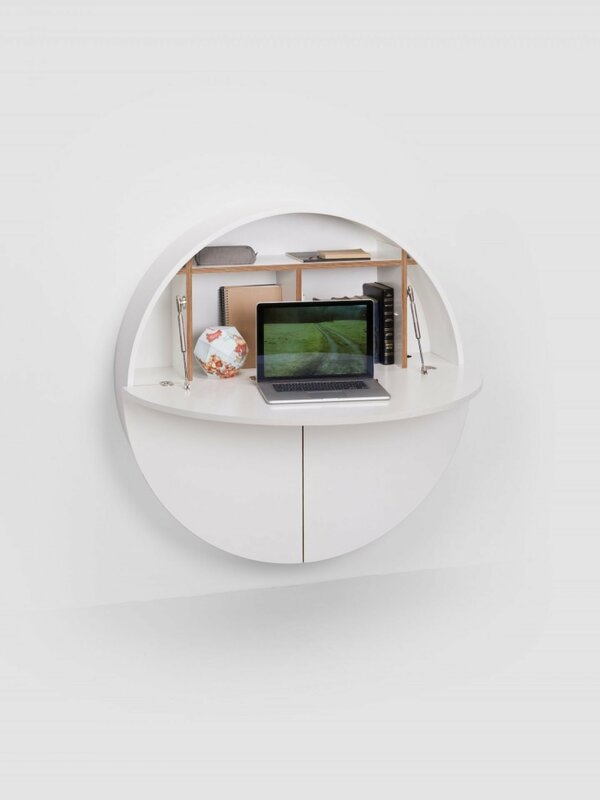 Ideal for people in small spaces or wanting to get the most out of space, the concept is helpful to many who want to make their little office a clear-minded place to draft out ideas and keep productivity flowing.